Portable power bank and emergency hand crank charger. 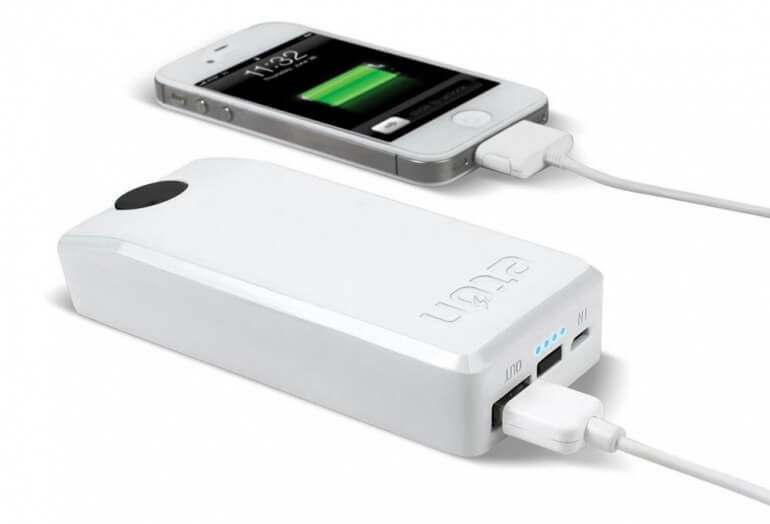 This portable 2000mAh power bank can be charged via the wall or using the hand crank. Perfect for travel and emergency situations. 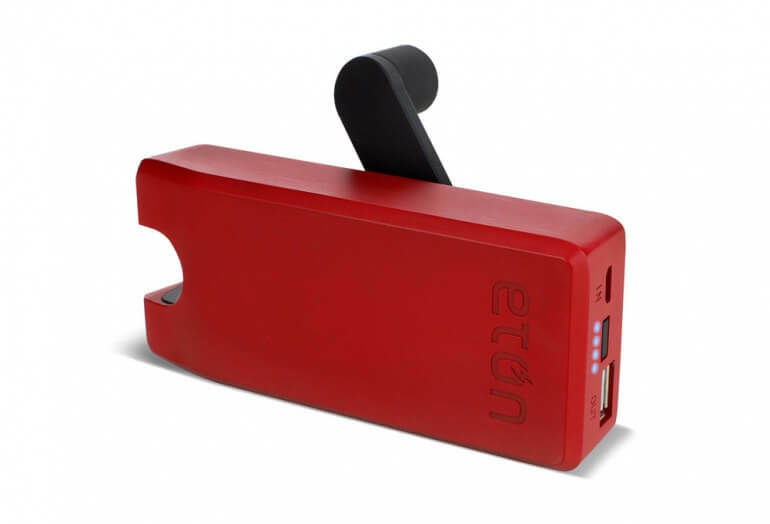 The BoostTurbine from Eton is a portable battery with a hand crank charger. The base of the unit is a 2000mAh batter which can be charged via the Micro-USB DC input or via the fold away hand crank. 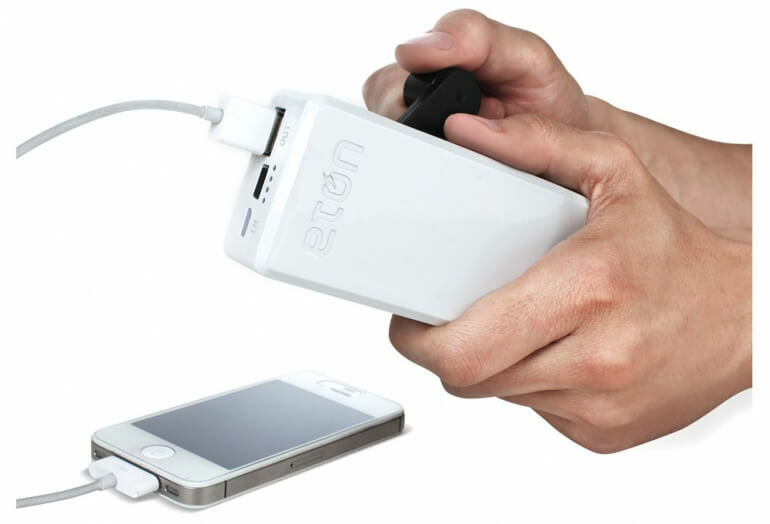 The hand crank lets you charge your phone in emergency situations. 4 minutes of cranking will net you enough time to send a few text and make a minute long phone call. The unit features a press button status indicator. Simply press the button on the front of the unit and the LED indicator will display how much charge the battery currently holds. Fast and durable iPhone, iPad, or iPod Touch charging cable.